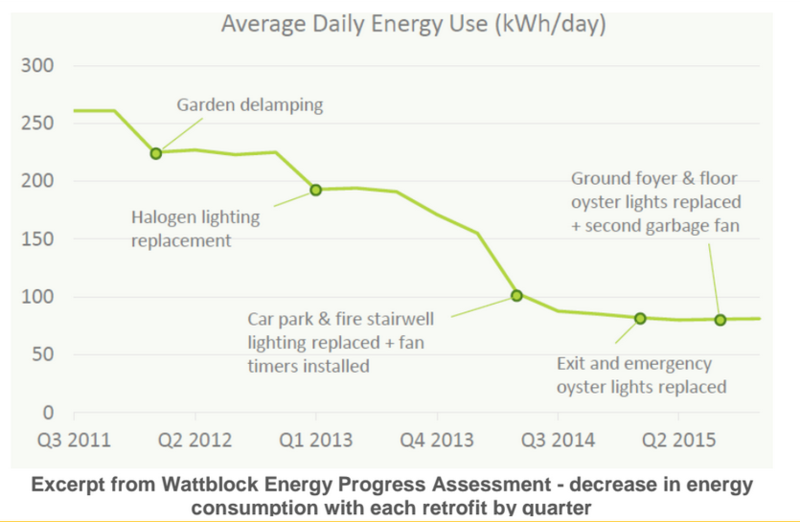 According to a University of NSW case study, energy efficiency in strata has some unexpected outcomes over the medium term. Among these are improved security, garden re-invigoration, a common area make-over and record property valuations. Why are local governments like City of Sydney, North Sydney, Kuringai and Willoughby encouraging strata schemes to retrofit lighting, put fans on timers and reduce hot water consumption? Most believe that it is simply to hit local government environmental targets. After 5 years, a strata scheme which participated in Willoughby City Council’s ClimateClever apartments program, now has some interesting results to show. 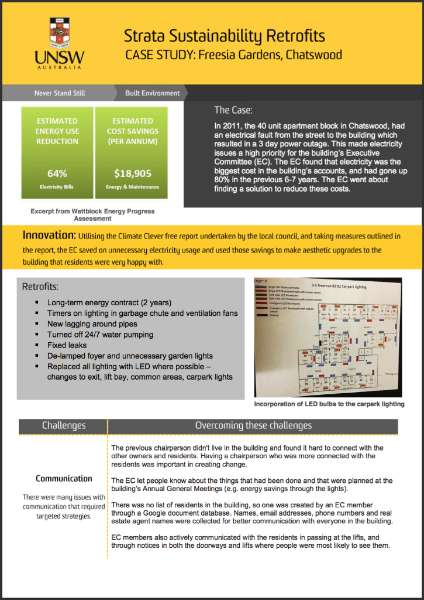 In 2011, the scheme spent $27,000 on energy efficiency projects, setting itself up with an additional $18,000 of cash flow each year through reduced electricity and gas costs. After paying off the energy upgrades, the building has now re-invested $66,000 on building improvements, without impacting general building maintenance costs or raising any special levies. What did they spend the accumulated energy savings on? All of these common area improvements have improved the amenity of living in the building. Interviews show that improved communication between Executive Committee members and strata manager is another result. This supports the idea that communities which complete projects together, communicate better with each other. For further information see the University of NSW report and the Willoughby council's ClimateCare newsletter.